Did you know that content marketing is 31% cheaper per lead than paid search? Content marketing outweighs paid search by a massive margin. So, we wanted to investigate the top three marketing benchmarks that support this statement and why. 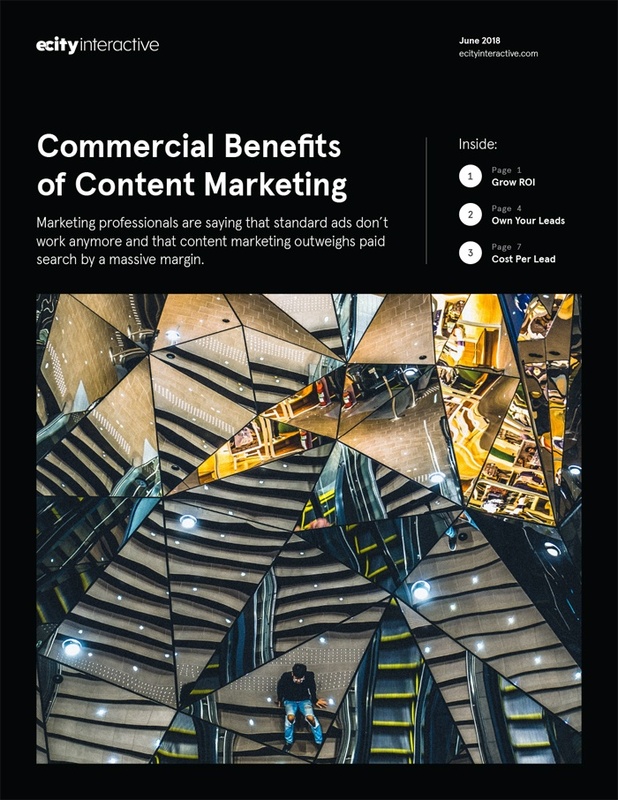 Our research focused on a white paper produced by Kapost and Eloqua, who studied 50 B2B businesses and provided evidence for why paid search isn’t competitive with content marketing. Let's talk about how we can help. ECITY INTERACTIVE is an interactive design agency based in Philadelphia, Pennsylvania. © 2019. All Rights Reserved.